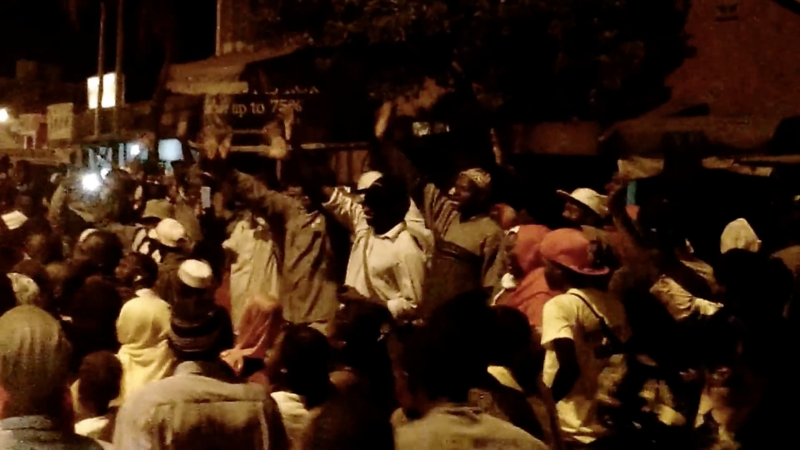 People waving in a protest against president Yahya Jammeh in the Gambia in 2017. Screenshot from YouTube video. Authorities in the West African state of the Gambia arrested political scientist Ismaila Ceesay and charged him with “incitement to violence” on January 31, over an interview that he gave to a local newspaper. He was released without condition on February 1. Ceesay's arrest was in connection to a newspaper interview in which he said the presence of ECOMIG sub-regional forces in the Gambia will not prevent long-term security risks. The Economic Community of West African States Mission in The Gambia (ECOMIG) was part of efforts to enforce the December 2016 presidential election results, which took long-time leader Yahya Jammeh out of power. Despite the election results, Jammeh refused to step down from office for several days following the scheduled transition of power. The current president, Adama Barrow, was thus forced to remain outside of the country, in neighboring Senegal, until Jammeh finally relented and departed from office. I thought using hashtags to demand release of citizens whose basic rights were being violated in #Gambia was over from 20Jan2017. Until 31Jan2018 Ceesay detained for his opinion & here we are #FreeDrCeesay. The Barrow administration has been hailed for restoring respect for fundamental human rights, a direct departure from the brutal dictatorship of former president Yahya Jammeh. Shortly after assuming office, Barrow freed hundreds of prisoners and detainees. Since then, a series of investigations and prosecutions for alleged human rights violations under the Jammeh regime has commenced. 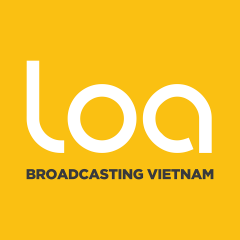 But the fragile security state following the political impasse still remains a major stumbling block for the full enjoyment of civil liberties. Secretary General of the Gambia Press Union Saikou Jammeh (who has no relation to former president Yahya Jammeh) condemned the arrests and warned against sliding back into the dark past. Ceesay, a political science lecturer at the University of The Gambia (UTG), is a regular political commentator for local media. 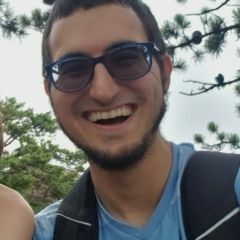 In a statement posted on Facebook, the university staff association described Ceesay's arrest and detention as “a blatant affront and a threat to academic freedom and freedom of expression” and called for his immediate and unconditional release. Following the arbitrary arrest of Dr. Ismaila Ceesay, Political Science lecturer UTG and President of the University of the Gambia Faculty and Staff Association (UTGFSA), over an article published in a local newspaper, the entire UTG community under the umbrella of the UTGFSA strongly condemn the said arrest as a blatant affront on his civic right and a threat to academic and freedom of expression in the country. The change that Gambians envisaged in December 2016, is a nation where citizens can express their opinion on national issues such as development, education, security, and democracy without fear of harassment from anyone. The Gambian people did not sacrifice their lives for a change of face in the December 2016 Presidential Election but a change that guarantees all and sundry to enjoy their rights and liberty in their country with dignity. Therefore, the arrest of our colleague, Dr. Ismaila Ceesay, is a violation of his constitutional right to freedom of expression and an attempt of provocation on the resolve of UTGFASA to protect its members’ rights at all costs. As academics and citizens of the Gambia, we will not sit by and watch the security personnel or anybody else trample on our rights with impunity. 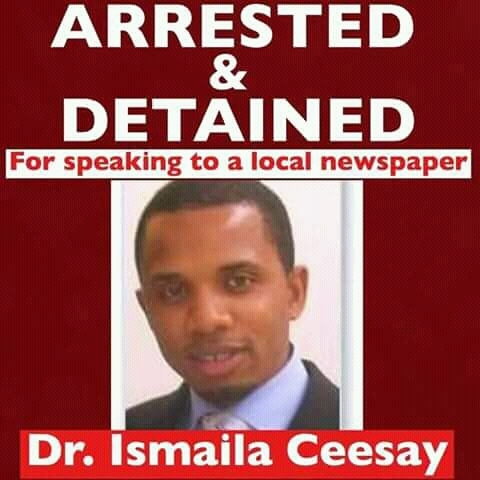 We therefore demand the immediate and unconditional release of Dr. Ceesay. If the authorities fail to unconditionally release Dr. Ceesay, the UTGFSA executive hereby calls on all her members to sit at home and refrain from taking part in all university functions and activities including orientation ceremonies starting from Thursday 1st February, 2018. However, the UTGFSA executive will use all available means to secure Dr. Ceesay’s release. The executive shall inform members through the UTG platform as to what our next move is. Ceesay was briefly charged under section 59B of the Criminal Code of the Gambia. Had he been convicted, he could have faced imprisonment for a term of three years. But following intense pressure from staff and students of the University of the Gambia, he was released unconditionally.